The St George Defence: 1...e6 and 2...a6 could easily be underestimted, yet this opening idea of IM Michael Basman has remarkable surprise value and is strangely flexible. 3) GM Alexander Chernaiev's method, involving a pseudo-hippopotamus formation. Let FIDE Senior Trainer and IM Andrew Martin be your guide through these unusual waters and at the end of the journey, you will have three new weapons to add to your opening armoury! The St George Defence: 1...e6 and 2...a6 could easily be underestimted, yet this opening idea of IM Michael Basman has remarkable surprise value and is strangely flexible. 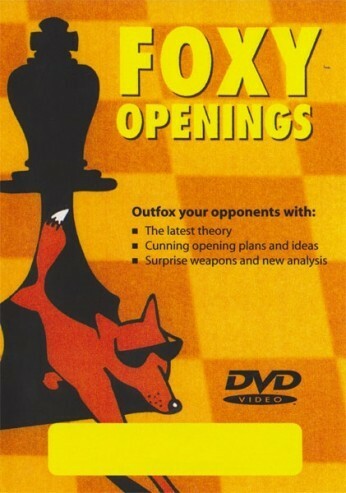 Volume 0153: The St George Defence: 1e6 and 2a6 We will see no less than three interpreatations on this all-new Foxy Openings DVD 1) The Basman method with an early ...b7-b5 2) GM Christian Bauer's method with an early ...d7-d5 3) GM Alexander Chernaiev's method, involving a pseudo-hippopotamus formation. Let FIDE Senior Trainer and IM Andrew Martin be your guide through these unusual waters and at the end of the journey, you will have three new weapons to add to your opening armoury!